Johan Kjeldahl a Danish chemist in 1883 while studying the changes of protein content during the transformation of barley into malt process developed the method for determining Nitrogen which then took its name from him. Because of its high degree of precision, reproducibility and versatility, the Kjeldahl method is used today to determine content of Nitrogen and proteins according to official methods. (AOAC, EPA, DIN, ISO). Seldom in human history has an invention remained basically unchanged for such a long time as Kjeldahl's method for Nitrogen determination. More than 90% of protein containing samples and over 60% of all Nitrogen containing samples can be analyzed by using this basic procedure. The food industry processes raw material in numerous ways and into many different products from cheese and bakery products or ice cream production through to uses in meat processing or in the production of ready meals. Hence the overall protein content plays an important role both for the payment of raw material delivered and for determining the value of the product. The digestion units are compact and well insulated to minimize heat transfer to the surroundings and allow fast, even heating thus giving good working conditions as well as saving energy. Aluminum block with holes for digestion of tubes. Energy efficient heater and ceramic insulation to retain heat inside the tube. 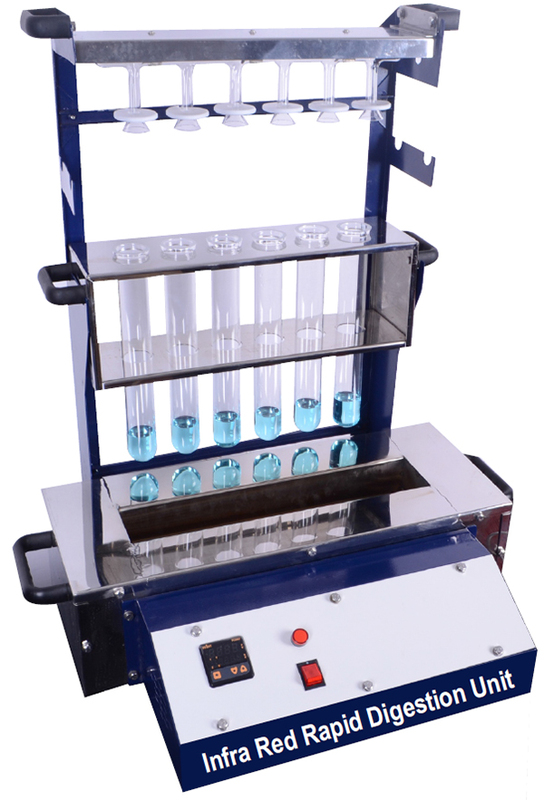 Insert rack with handle for easy loading and removal of digestion tubes. Exhaust system with glass manifold and water jet pump (glass filter pump). A console to hold the insert rack and exhaust manifold during cooling. This saves time and bench space. Digestion tubes 250 ml capacity. 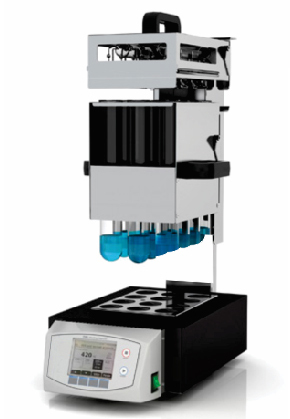 Digestion PID Controller with auto tuning to obtain precise temperature. A comparison of acid consumption between a classical Kjeldahl system and block digestor system. - Acid loss by evaporation is minimized. - Volume of NaOH that needs to be added during distillation is reduced. - Exact temperature controller can be achieved.